A fun little outing on a pretty day (albeit a mighty cold day!) deserves a pretty dress and pretty scallop edged bag. Dave bought me this dress for my birthday...2 years ago I think and I still love it. What's not to love? Its covered in hearts and zebras! The little vintage camera was a Christmas gift from my bestie Joanne & it came in its original box with instructions and the old pricing tag still attached to it. Im working up quite a collection of film cameras now with a total of 6 so far! 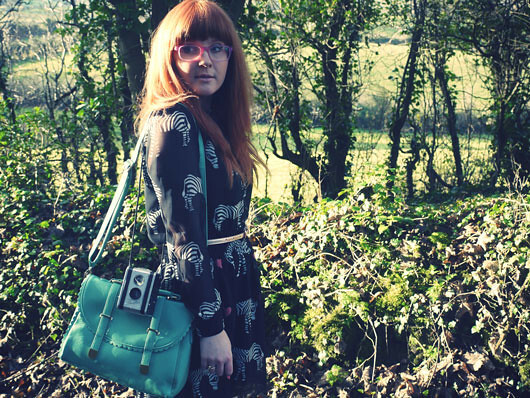 Your dress is amazing and also your bag! Love these pictures so much! Everything seems perfect! Oh my, your fiancée has such a good taste!! Your dress really is beautiful! I love film cameras, I have a couple myself (and wanting more!) but am still yet to buy film and try them out. 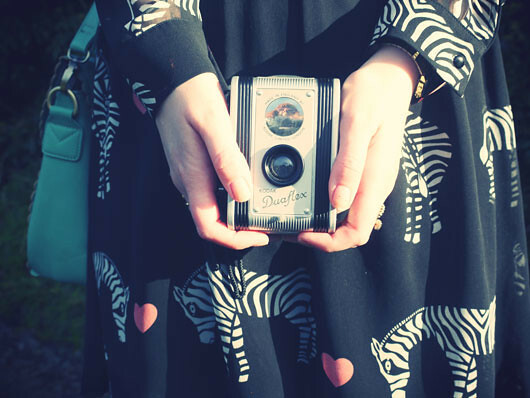 Your outfit is so lovely :) Such a pretty colour for your bag, and I'm loving the zebras! 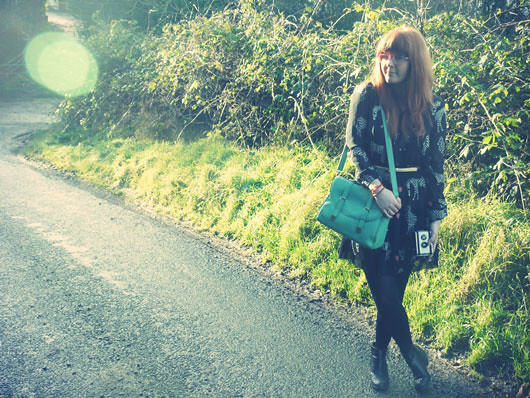 Love this look and ur blog :) Your bag is amazing !! 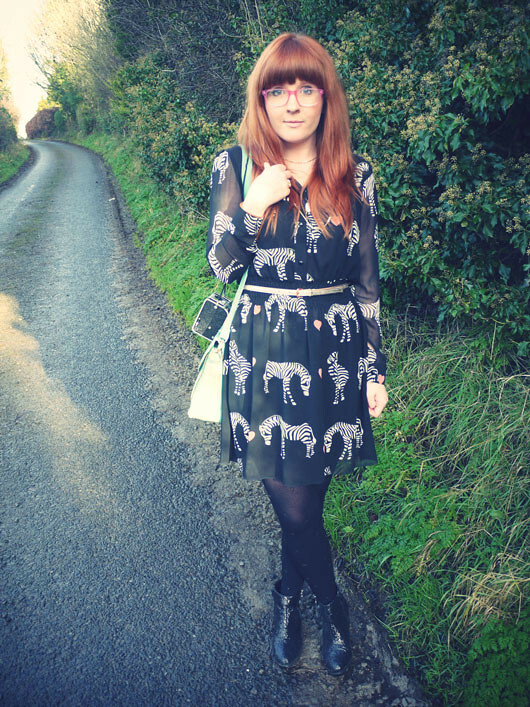 Love this outfit, the print is awesome! 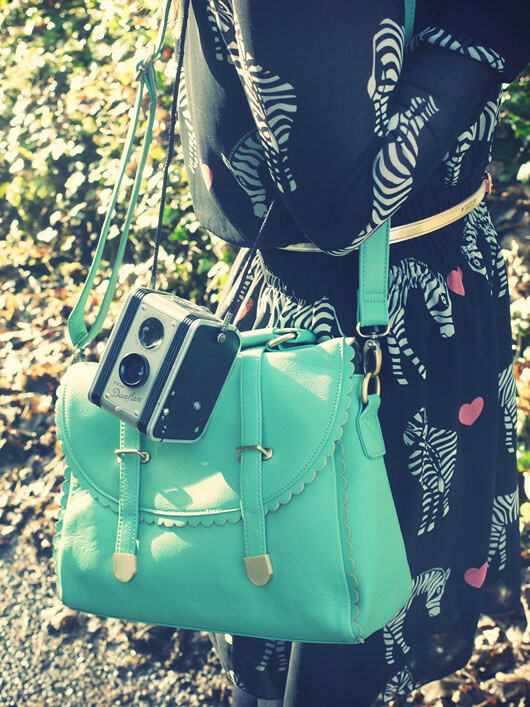 What a fun dress - love the super feminine bag too! This dress is the coolest thing ever! I just love the quirky zebra print. Your glasses are adorable worn with it too. Well Magpie Girl, I feel like Saying this only because I can hear you speaking in an Irish tongue when I read your blog. It makes me feel like I know you personally, so here it goes! Dave seems like a real Ralph, but the full on Zebras is a bit much. On a shirt, the look would be much easier to fall for. 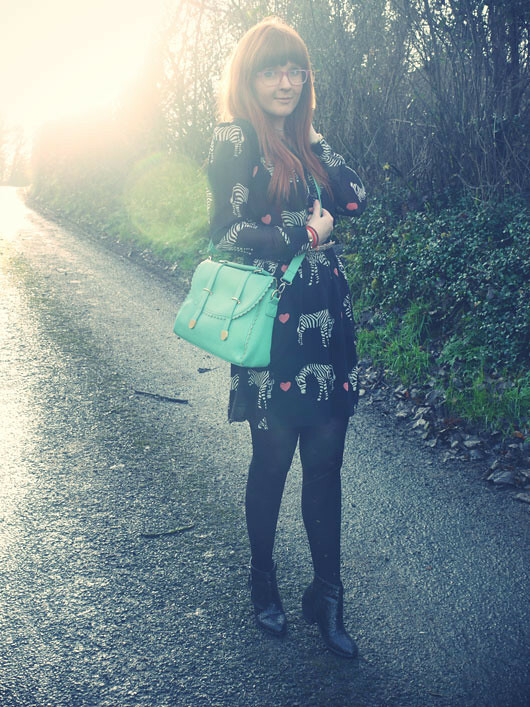 The bag shoes and tights rock though!